Eli Singer, the team at Entrinsic, and a supporting cast of people & advisors have organized the first Social Media Week Toronto. 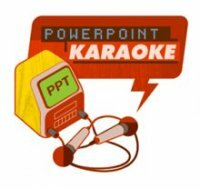 PowerPoint Karaoke is one of my favorite social formats. It is just brilliant. I first saw it executed in 2006 at ETech. And I wrote about as an alternative format to DemoCamp. I’m stoked to see that my friends Tom & Jay are making the effort to make it happen in Toronto. Remember it’s a social event, it’s meant to be a way to have fun! If it feels like there is a push of activities in Toronto, there are. You don’t need to attend every event, there is lots going on.